Or, how post-conference blues hit. You don’t actually get to witness these kinds of things to often. Yes, there was the birth of POUG conference, the passionate work of Kamil Stawiarski and the people he gathered around him. He did an awesome job and pulled it off. Why then is this so special? Well, first of all because it is my native conference. People that have contributed for many years, working closely together with new members to create something new. I think it is kinda special. Richard Olrichs, Ise Douwes, Luc Bors and Bart van de Laar formed the team that pulled it of! Kudos to them. Work started already end of 2016… on the notion that this conference was being organized, there was a small Twitter bombardment to recruit as many of the interesting international speakers to come and join us. This helped create a fabulous agenda, covering 81 (!!) sessions and 3 keynotes over 2 days in the spectacular setting of “De Rijtuigenloods” in Amersfoort. We have (finally) done it! The Netherlands have experienced their very first Full Stack Oracle Conference ever! I have said this many times before, and I will say this probably many times again, this is so very important for the spread of knowledge, the exchange of experiences and cross-pollination between countries! We have never done this before… We have APEX World, which is, of course, super important! And we have SIGs, which are very important for people working within a specialization. All good, all very important! But our business is way to specialized already. If you never take the time to look over your boundaries to what your colleague is doing (for which you don’t have time on a day-to-day basis) you’ll get isolated and miss out on possible great idea’s, changes and inspiration. For this alone, events like these are so important. For a country / region (as we span Benelux) that is so active in IT, it is a nuisance to have to go to either the UK or to Germany to experience a conference like this. As an active member of the Oracle community, I tend to know a number of people, spread out over this globe. One of the joys of a general conference is the fact that many of these people also participate. This leads to many happy encounters. With Oren Nakdimon from Israel, to Sandra Flores from Mexico, with Tim Hall, aka. Oracle Base, Maria Colgan & Brendan Tierney and therefor with Chris Saxon, more than 2rds of the Ask TOM-team!! And even many more famous speakers from home and abroad. It was a very special feeling to meet all these beautiful people on my home turf! And perhaps a bit because of the fact that the ratio between serial sessions and parallel sessions was a bit off. Investigating the performance of a statement via the SQL Monitor report by Toon Koppelaars, which is always insightful! Blockchain on the Oracle Cloud, the next big thing by Robert van Mölken, who helped me understand the technical side of the Blockchain technology. It’s a wrap by Lucas Jellema, who did a great job at really zooming out and looking at the bigger picture. I had the lucky opportunity to present even 2 sessions in Amersfoort. Both sessions were well attended and interactive. I enjoyed it very much and, judging from the reactions and interactions, I guess the attendees too. Thank you for attending!! This was 2017, this was the kick-off, the very first one. It now is time to look to 2018, start preparing. Gathering lessons learned, inventorise feedback and make plans. Whatever the outcome, there can only be 1 plan! “nl.OUGTech18″ or “Tech Experience 2018” we need to make sure the messages reaches further and wider. With over 250 attendees for a first event, we aim for over 500 for the next event. There are more than enough potential participants in our region to pull this of. The basic structure is there, the first succes is there, let’s do this!! This year, 2016, is turning out to be an amazing year again, with #OOW16 being once again on of the apices! After the discovery of the Oracle community in 2012, as a result of a very first trip to downtown San Francisco in 2010 for #OOW10, an amazing chain of events was set in motion. This very first introduction in the Oracle World was as ‘a mere participant’ in this awe-inspring, large than life event. Over these past few years I have met so many people, made so many new friends around the globe… This all literally changed my work, my life; basically everything changed. After visiting Oracle Open World for the first time, I had the opportunity to work with Arjen Visser and the team of Dbvisit on building a strong brand for this amazing company in Europe. This also brought me back to San Francisco in 2014. And boy, things have changed! Not only was it a coming back, it was a fest of friendship, with so many people to meet, either brand new or in a chance to catchup once again. It was also the first time I had the opportunity to participate & share. With #RepAttack I had the opportunity to share knowledge about logical replication and the many benefits it holds for making the most out of your data. Did I mention the utterly amazing fact of getting not only accepted by the Oracle Community, but also recognized, together with my dear friend from Belgium, Mr. Philippe Fierens, as a genuine Oracle ACE? 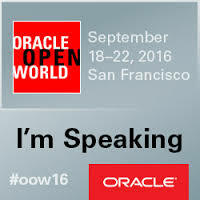 This edition of Oracle Open World, OOW16, again adds a brand new dimension to the visit to San Francisco! Not only will it be as the Director Operations of Portrix Systems, supporting the Annual Swim in the bay event in cooperation with Oraclenerd Chet Justice, it will be as a selected speaker too. An opportunity I would have never anticipated to be possible. I will be discussing the various aspects around the protection of data and how you can justify various investments to accomplish this. I cannot start tp imagine what the impact of this years trip shall be, I do know that I am looking forward to meeting many of you again. This year too, the OTN Lounge will be the base camp for the travels through the Open World landscape. Don’t hesitate to stop by and say hi!! The prerequisite is that you know how on-line data replication in general, and Dbvisit Replicate specifically, work. I had half of a replication pair running. It means that the MINE process was running, converting REDO-log in PLOG-format. The APPLY process had not yet started because the target database was still being prepared. The reason for this is that we needed to start converting redo-log information to PLOG information while we were setting up the target environment. The reason for that was that the setup (exporting source, copying dump to target and importing) was taking quite a bit of time, which would impact redo-log storage to heavily in this specific situation. It was my suspicion that the MINE process was unable to get enough CPU-cycles from the production server to actually MINE more redo-log seconds than wall-clock seconds passed. In effect, for every second of redo-log information that was mined, between 1 and 6 seconds passed. This means that the replication is lagging behind and will never be able to catch up. To resolve this, the plan was to take the MINE process of the production server and placed on an extra server. On the production server, a process called FETCHER would be introduced. The task of this process is to act as a broker between the database and the MIN process, forwarding the requested on-line an archived redo log files. Why didn’t I then, you would rightfully ask? Well… The instantiation process would take to long, and did I say we were under time-pressure? The famous *-all.sh script, ~ 1 hr. Datapump Export, ~ 10 hrs. Copy from DC old to DC new, ~ 36 hrs. Datapump Import, ~ 10 hrs. Note: cst-migration is the name of the replication project as you specified it in setup wizard when setting up Replication. TIP: When setting up on-line replication, it is worth your effort to create separate tnsnames.ora entries for your project, like ‘repl-source’ and ‘repl-target’ acros all nodes. It can get hellishly confusing if you have, as in this case, a database that is called <cst> and is called the same on the source and target server! We obviously had the ./cst-migration/config directory from our basic setup with just MINE & APPLY. This directory holds (among others) the ./cst-migration/config/cst-migration-ontime.ddc file. This file holds the Dbvisit Replicate Repository contents that is needed to run the processes. From this setup, MINE is actually running. We actually concluded the fact that we were not catching up from this process. Now we run dbvrep -> setup wizard again and create a Replicate setup directory with FETCHER and isolate the ./cst-migration+fetcher/config/cst-migration+fetcher-onetime.ddc. By comparing the two files, I was able to note the differences and therewith conclude the changes necessary to introduce a FETCHER process. It is a meticulous job to make sure all the paths on all the three servers are correct, that port numbers are correct and that all the individual steps are take in the right order. This is the overview. Having these changes, it is all downhill from now. Using the Dbvisit Replicate console, the new entries and the changes were made to the DDC-information stored in the Replicate repository. You can enter these manually or execute your change-file by executing @<change-file-name> inside the console. Create the ./cst-migration directory on the system you will use for the relocated MINE process and copy the cst-migration-MINE.ddc and cst-migration-run-source-node.sh in this directory. Rename the cst-migration-run-source-node.sh to cst-migration-run-mine-node.sh to reduce confusion. Make sure that the paths mentioned in the cst-migration-MINE.ddc are correct for the system you are starting it on! NOTE: Please make sure that you can reach both the source and the target database from this node using the tnsnames-entries you have created for the replication setup. Rename the cst-migration-MINE.ddc on the source node (!) to cst-migration-FETCHER.ddc and change the cst-migration-run-source-node.sh file to start the FETCHER process in stead of MINE process. You are now ready to start your new replication processes! NOTE: If you are running APPLY already, there are some additional things you need to be aware of. Although it was not the case when I came across this challenge, I am happy to say that Dbvisit have verified and accepted this solutions as a supported action. For those of you who haven’t been working with on-line data replication; in short, it is a way to copy data from a source database to a target database and do this on-line (both databases are active) and do it near-real-time. This means that when you enter data in you source database, you can immediately query it from your target database. This makes on-line data replication ideal for numerous tasks, like moving and / or upgrading your database while it is being used, with almost no downtime at all. This tale is of an actual project that I conducted. I used Dbvisit Replicate as my tool of choice. 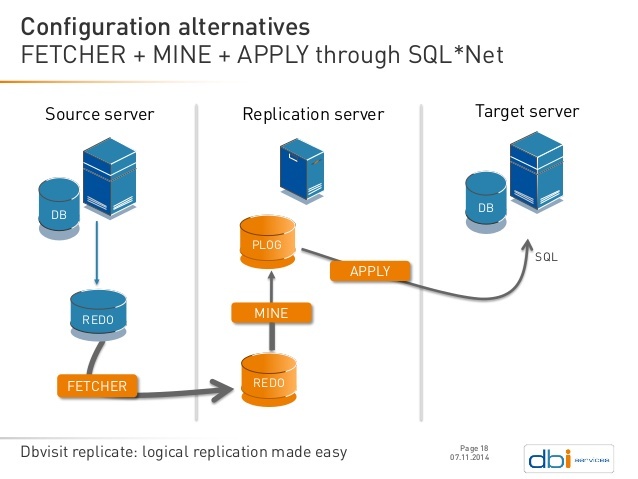 Dbvisit Replicate can use a so-called FETCHER process to act as the “long-arm” for the MINE process. Mining extracts the information from the redo-log files, but, in specific situations, this can be too much of an overhead for the source database server. By moving the MINE to a proxy server, this overhead can be significantly reduced. In some cases it can be useful to manually transfer redo-log files to the mining stage directory of Dbvisit. I came across this requirement when catching up a lot of redo from a RAC database. In this case, the RAC cluster creates two streams of redo. When starting the replication processes, the first thread is transferred by FETCHER from the source server to the proxy, before the second thread is transferred. This means mining will pause until the second thread successful delivers the first redo-log file of the second thread. The redo-log information from the second stream is necessary to create consistent and chronologically ordered SQL-statements for the target database. In effect, the SCN’s from first redo-log information of the first stream need to line up with the SCN’s of the second redo-log information. In this case, this meant having to wait a day or more before mining can start. This is why I decided to copy a number of redo-log files from the source server to the proxy server, where the MINE process is running, manually. After the copy, the files need to be registered with in the dbvrep-repository. Without this information, the MINE process has no knowledge of the files that are present and about what their contents are. The update is an easy insert statement, but it should be handled with care, as this needs to be quite precise and it needs a bit of specific information about the redo-log files being added. , 2 -- assuming you are updating this thread. After registering the first file for the second thread, in the Replicate-console, you can watch the MINE process kick off. This process will then again halt after the first file of the second stream is processed in parallel with the first file of the first stream. I kept adding files until the FETCHER process was able to take over, or you could do this until you test-case or PoC is over. In the last few years I have been active with data replication solutions in the Oracle realm as you may know. This data replication field is one that has many angels, so there is something new to learn every day and sometimes there even are really new possibilities! The first and most familiar form of the data replication forms is ‘physical data replication’, also known as ‘Standby Database‘. In this form of replication, both source and target database are binary identical. Changes are propagated by copying the archived redo logfile from the source database to the environment for the standby database lives. Most often this is another server, preferably in another building in another town, far enough away to not be struck by the same havoc. The second and more emerging form of data replication is ‘Logical Data Replication’. In this form of replication, there is not real relationship between the source and the target database, other than that the target database houses data coming from the source database. They can live on different systems, be from different database version, a different operating system or even be from a different vendor. Data is harvested from the source database, converted and copied over to the target database / system. On the target system this data is being applied, in the native speech of the the target database. There are a few ways to accomplish this, but basically every vendor has the same technique. It is more a matter of pricing, basically. So, having discussed this, as this is not new, why this blogpost? A Standby database is more or less closed. You can open it occasionally to query some data, but that interrupts the apply-process. On-line data replication does what it says, you have an active database, where data is continuously added. This way you can, for example query, the same data on two sources to spread load. This reeks after somewhat of a hybrid approach! We cannot do regular on-line data replication, for this is aimed at being real-time. And we cannot leverage Standby database, since it needs to be centralized in one database and not 10. Next to that it would take some administration to open up the standby database in read-only mode, take the copy, and close the database again. Working with Dbvisit, we came up with “Pause Apply” and “Resume Apply”, which we combine to form “Delayed Apply“. This delayed apply would neatly answer the question posed. We can easily restore or copy back corrupted data, since both the source and the target database remain continuously open. Using Dbvisit Replicate, having this kind of protection for your “logical test-cases”, what this company was doing to require this solution, is really affordable. For Dbvisit, it all started with Dbvisit Standby. Logical data replication, but, logical data replication is not so hard in the end. To get it running stable, to make it do exactly what you want it to do, is an oversee-able task. With it’s wizard driven installer and the clear task of having two exactly the same databases and a little bit of time, you’ll have this process of shipping archived log files, nailed. Getting it stable and reliable is built in, so not much worry there. Logical data replication on the other hand, is a whole different ballgame! For a long time logical data replication was just for bigger companies with intricate information needs. And it is a little more challenging than physical data replication. There are database, schema or table considerations, what and what not to replicate to where, making sure you get it stable and reliable in your environment. Checking and following up on changes and doing all kinds of work to make sure you get the best our of your setup. To be able to bring you this, we looked at the heroes from the Oracle Technology Network for inspiration. This special group of gurus called the RACAttack Ninja’s have been involved in educating and supporting any and all with a setup of Oracle’s Real Application Cluster technology on your laptop. Inspired by this example, Dbvisit created #RepAttack! A techno-opportunity that will be traveling the world with it’s inaugural session nowhere less than at Oracle Open World 2014. #RepAttack is a great opportunity to network with your peers who are just as curious as you are, and to access a fantastic team of warriors who will work with you one-on-one to ensure you are up and running quickly and leaping over any hurdles effortlessly. The session will include a deep dive into core concepts to make sure you return to your organization with an in-depth understanding of how both replication and virtualization really work. Take the time to attend and be that “go-to” person when questions around these concepts come up at work. Keep an eye out as new details will emerge over the coming days and weeks! Make sure you checkout Twitter hashtag #RepAttack or just submit your e-mail address below! Can I be a warrior too? RTO/RPO, who has ever heard of that! That was Star Wars, right? Storing data and never having to go without or losing any… Yes, that’s more like it. Okay, and these two have everything to do with each other! Talking about these two fancy IT abbreviations I have raised many eyebrows and aided securing businesses! RTO: Recovery Time Objective, or rather, how long should it take before your database is up-and-running again! RPO: Recovery Point Objective. How much data can you stand to lose? It is customary to put real amounts of time for these both parameters. This is one of these true points where IT ‘meets’ business, one of those do or die SLA parameters. How long before you can start working again after something has gone somewhat horribly wrong? Dependent on the business (and for sake of argument), you will get something like; “Oh well, if we are back in business in say an hour, I guess we’ll be fine.” Okay, so we have RTO = 1hr. And, how much data can you afford to lose? “Losing data, what do you mean?” Well, let’s say you have been on the phone and in the field harvesting order data and putting this in the database… how much of this information can be reproduced when your environment fails? We’ll go with two scenario’s. We will presume “Oh no, NOTHING!” and “Hmmm, well, 10 minutes, if needs be!”, making respectively RPO = 0min. and RPO=10min. RPO = 0 minutes or 10 minutes. Let us investigate what this means, assuming we have a functional backup running every night and that our drama happens at 15:45 on a working day. What do we have when we do nothing? After establishing we have a system crash at hands we need to start working immediately to rebuild something, but do we have something to build upon? And if we have this do we have enough expertise to get it installed? Well, I guess it’s clear… We need to invest big-time! Few hours getting all the facts straight and getting hardware, a few hours to install and configure the OS, a few more for Oracle, getting it to resemble the former production environment and then restoring the backup! RTO = starting at 8 hours. 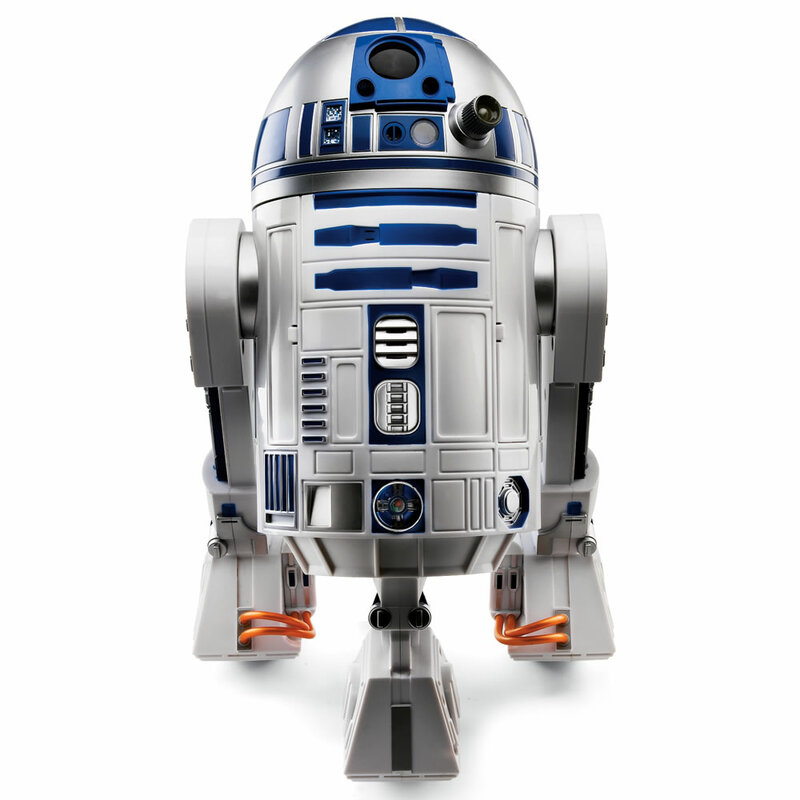 Looking at our RPO? Well, okay, that’s easy! We backup at midnight (0:00) and we crash at 15:45. So we will have lost 15 hours and 3 quarters. It’s clear we have to do something. The first step is to reduce RTO, we need to be able to continue work faster. We can do this by making sure we have a second server standing by in a different location. Have it installed, have it configured and ready to jump into action. You could call this a Standby Server. But even now there is no guarantee we make our target since restoring a backup and getting the database up and running could still easily take over 1 hour, when dealing with red-tape and decision levels. To hit the home run we need to add one more feature, we need to have not only a Standby Server, we also need to have a Standby Database. A database that can be “opened” or “activated” in mere minutes. Are you running Enterprise Edition Database then you can use Oracle Data Guard, included in your database license. Are you running Standard Edition Database then you can get the Smart Alternative from Dbvisit. Now we need to tackle RPO! RPO = 10 minutes, actually is tackled by the Standby Database implementation. Because of the characteristics of Standby Database, we do not only have an RTO of mere minutes, we also have an RPO of a configurable duration. Data is transferred to the Standby Database environment by means of archived Redo Log files and this mechanism is influenced by manual switching of log files and if you do this with small enough intervals (less than our target of 10 minutes) we make sure that age of the data in the Standby Database meets the target “Recovery Point Objective”! Well, okay, this is something else. And if we think about this a little, it’s something completely different! Recovery Point Objective, the amount of data we can stand to lose, is 0 (nothing!). Actually meaning we have to create a Standby database setup which is kept up to date with the primary environment. This kind of Standby Database environment allows you to switch to this second environment within seconds and continue your business operation without delay! For Enterprise Edition databases Oracle provides Active Data Guard as a cost-option. Standard Edition database users can turn to Dbvisit to provide the Smart Alternative. So, now you know about RTO/RPO to secure your data and know this guy is something else. These are times when there are technologies abundantly available to help you make the very best of the data you gather from your business processes. Increasing numbers of businesses choose the option to host their production database environment in one of the many cloud forms that are available these days. This example of a smart alternative discusses an additional service you could implement or request when you are dealing with cloud based databases. In many organizations there is a BI-team responsible for the development of company specific KPIs or compose competitively strategic information based on the information that is gathered during day-to-day business. There often are key management positions that have a need for ad hoc queries to live data. In recent years the grave importance of this intelligence has been recognized as being of the greatest importance for decision support, and giving your organization the biggest competitive advantage possible. Developing or even running these activities on live data gives the sharpest edge. Doing this on a production environment, nevertheless, is out of the question. Uninterrupted availability and maximum responsiveness for regular activities of these databases are unquestionably important. How can you combine these factors with the proposition of running your database in the cloud while staying smart? The smart alternatives of Dbvisit enable you to do just this! By leveraging Dbvisit Replicate in a hosted environment you can create one or many local copies of live production data with specific local database settings to do precisely what you need, be it running or developing heavy BI queries or having departmental management looking at or analyzing data as it is recorded. Having (a subset of) the live data uni-directionally delivered from the cloud to your local (desktop) database creates a safe environment to analyze and enable knowledge workers to do the their job without any holds barred! In these current times it’s a “dog-eat-dog” world like it has never been. We are fighting over every bit of margin and trying to create value without increasing cost. The following example from a retail background shows an innovative way you could accomplish this, leveraging the #1 database at the lowest thinkable investment combined with the smart alternative from the makers of Dbvisit Software. In this example we are following a supermarket in their quest to “do business a little different” and they are thinking of combining ‘shopping audience attitude’ in an interactive way with a time specific advertisement technique. The idea is to look at what people are checking out at the cash register and combining this, in real-time, with both amounts of items in stock and possible specific business rules applicable to any discounts to be given. By gathering information at the counters, information about what kind of groceries people are actually buying at that specific moment, you get an insight in the natural fluctuation of buyers behavior during the day. With this information you can do stuff, like figure out how much of what articles you need in stock or direct resupplies in the store during the day, getting the maximum revenue out of the employees responsible for making sure everything is plentyfull ready for the taking. But why not take this one step further they thought. If we can combine this cash-register information with some kind of continuously changing system of discounting, we can create an element of interactivity. By looking at what articles are sold, combining this with remaining stock and using the fact if there already is some regular discount on specific articles, you can make a system where, for instance every 15 minutes, there is another specific item on ‘super special sale’. Delivering this “buy now” message to the actual customer can be done in several ways, either by loading this information in self-checkout bar-code scanners or for instance by label printers offering the specific discount label to be scanned at the checkout counter. After a ‘super special sale’ moment elapses, everything changes and a new article is the hot deal of the moment. Where in a normal setting the POS entries are fed into the regular business database to be processed in a batch-like fashions you would have no chance of getting this information recycled. This backbone infrastructure cannot be used for the very data intensive activities we would need for our initiative to take shape. Having delays here would inevitably mean delays and errors at the checkout counters with queues and unsatisfied customers as the least of your concerns. Regular data replication solutions would render any business case useless before somebody even had the heart to dream up such an idea. Today, by leveraging the Oracle database Standard Edition or even Standard Edition One, you have an environment which is capable of handling such information loads. Combine this hyper cost effective installation with a Smart Alternative like Dbvisit Replicate, replicating data away from you core POS infrastructure, delivering this data at a special database for this initiative. Here it is combined with stock information, also delivered by Dbvisit Replicate, to create a system that is real-time, robust and a system that doesn’t interfere with regular business. Moreover it creates a system which does support the business case by requesting up to 80% less investment. This example shows that many of the smart ideas which were created by the business have stranded in an impossible business case. Today, the Smart Alternatives of Dbvisit create the opportunity for you to rethink these ideas and really start realizing them. Just because it’s possible now!